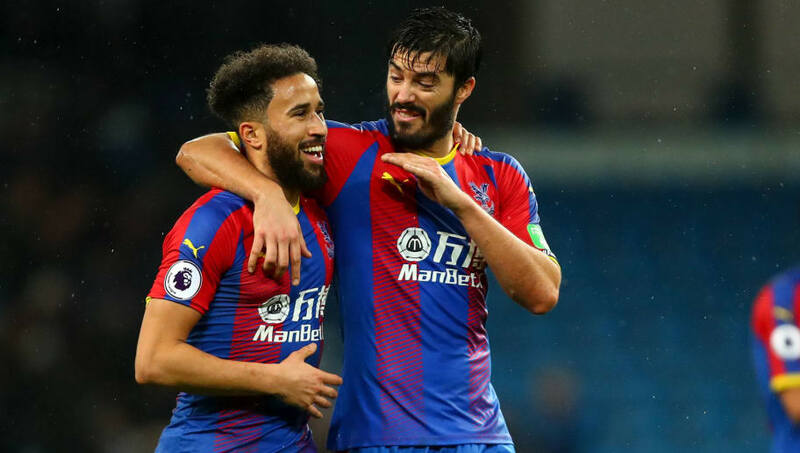 Crystal Palace winger Andros Townsend has won Premier League Goal of the Month for December following his stunning volley that helped the Eagles defeat Manchester City. Striking the ball from distance with his left foot as it dropped out of the sky, Townsend's strike gave Palace the lead in the game and they eventually went on to beat the reigning champions 3-2 in a game that could yet have ramifications at both end of the table come May. "We got a free-kick and the ball's dropped out of the air. I just thought, 'Yeah, it's sat up perfectly, I'm going to hit this'," the player PremierLeague.com upon receiving his prize. "I didn't really know how good a goal it was. Everyone was saying, 'It was incredible, it was the best goal I've ever seen.' I just thought it was a volley from outside the box and it's not until I watched it back, then I thought, 'Oh wow, maybe that is a bit special'." This is the second time in his career that Townsend has won Premier League Goal of the Month after an 80-yard run he scored for Palace against West Brom in March 2017. Palace were able to build on the win over City, which came just a few days before Christmas, by taking a point off relegation rivals Cardiff on Boxing Day and later pulling off an impressive 2-0 away at Wolves in their opening game of 2019. Next up for Roy Hodgson's team is a must-win game against Watford at Selhurst Park on Saturday. Victory could potentially put nine points between Palace and the relegation zone and maybe even allow them to start looking up the table with a view towards the top half.